The economy of Puerto Rico may be struggling like many others, but there is a community of dedicated technologically-savvy entrepreneurs working hard to make La Isla de Borinquen a startup technology hub. As a native New Yorker of Puerto Rican descent, I did not know there was a tech startup community on the Caribbean island. According to one of the Puerto Rican pioneers of the startup community, Marcos Polanco, the startup community in Puerto Rico has officially existed since 2010 but has been around since 1996. 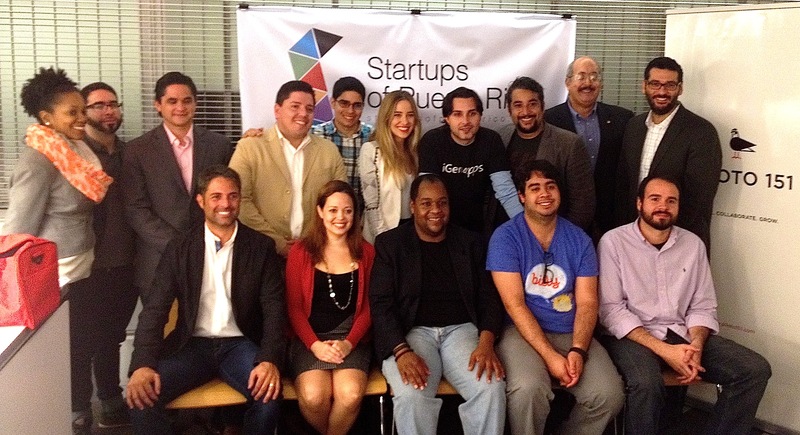 In 2010, Ramphis Castro and Marcos joined forces to create an association called Startups of Puerto Rico. They envisioned Puerto Rico and its people establishing start up technology companies and representing a growing number of successful businesses. Castro and Polanco hosted a Startups of Puerto Rico Showcase on Tuesday, October 15 at the New York offices of the Puerto Rico Federal Affairs Administration. I registered for the event to write this blog post. It was an honor just to be in the space, let alone in one with over 60 people with the collective idea of doing what we can to promote the startup community of Puerto Rico. The event allowed four Puerto Rican startups the opportunity to pitch their companies to successful technology startup investors. The companies received priceless feedback from the tech investors who could have been anywhere they wanted to be at the time. The tech investors on the pitch review panel included Bob Dorf, Amol Sarva, KJ Singh, and Ricardo García Amaya. The startups showcased their companies and products and were open to suggestions on how to move their company/product to the next level. The investors also provided critical advice by expressing their occasional wish to either hear more specific information or see more dynamic presentations. All the startups were amazing but I was most impressed with iGenApps. Smartphones are becoming more popular than laptops and it makes sense to be able create your own mobile app on your phone without the use of a desktop computer. Some of the event’s sponsors included the law firm Perkins Coie, Puerto Rican crowd-funding company Antrocket, and Puerto Rico’s first co-working space, Piloto 151. A social gathering sponsored by Fans and Friends of Startups of Puerto Rico, founded by Carmen Bonilla, at Iguana‘s ended the evening. I enjoyed the informative night and look forward to hearing more about Startups of Puerto Rico on the island and in New York. It’s incredible to see a vibrant and visionary community of Boricuas creating their own, contributing to the local economy, and demonstrating leadership. Phillip, thanks for the writeup and delighted to have met you. Let the record show that beyond Ramphis and I people like José Padilla and Giovanni Collazo, as well as Hector Ramos and Francisco Tirado, were part of the teams organizing the launch events of 2010. We are awed by the power of the network of collaborations that have built the community.